Use 8 wheel steering for better maneuverability. Do not use over 30m/s. Use front 2 wheel steering above 30m/s. 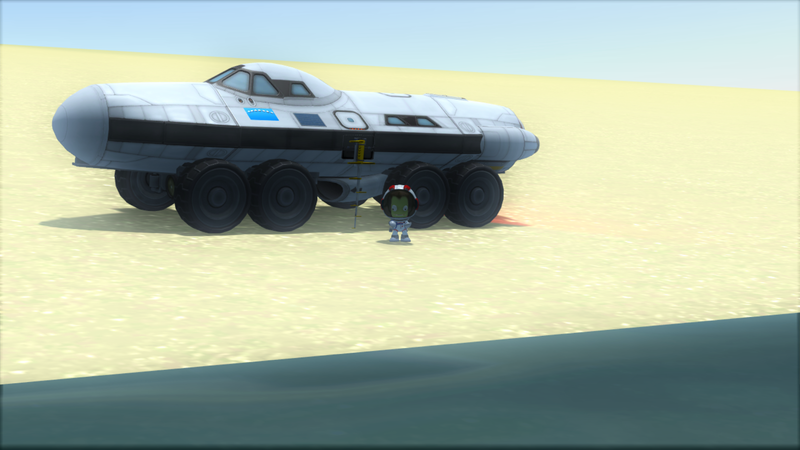 A stock rover called CR-35 Impetus. Built with 38 of the finest parts, its root part is mk2Cockpit.Inline. Built in the SPH in KSP version 1.6.1.